A key figure in the Black Arts Movement and the feminist art movement of the 1960–70s, contemporary artist Betye Saar has shaped the development of assemblage art in the United States, using her distinct vision to harmonize the personal and the political. A key figure in the Black Arts Movement and the feminist art movement of the 1960–70s, contemporary artist Betye Saar has shaped the development of assemblage art in the United States, using her distinct vision to harmonize the personal and the political. Recycling and reclaiming derogatory images such as Aunt Jemimas, Uncle Toms, sambos, and mammies, Saar confronts the continued racism in American society and creates representations of strength and perseverance. On this docent-led tour, discover the washboard as a symbol of the unresolved legacy of slavery and the subsequent oppressive systems facing black Americans today, particularly black women. Ticket includes Museum Admission. By phone: Contact New-York Historical’s in-house call center at (212) 485-9268. Call center is open 9 am–5 pm daily. Online: Click on the orange “Buy Tickets” button at the top of this page. 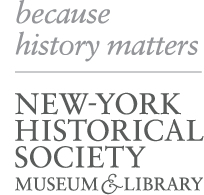 In person: Advance tickets may be purchased on site at New-York Historical’s Admissions desk during museum hours. Advance purchase is required to guarantee participation. Programs and dates may be subject to change. Program tickets include Museum Admission.